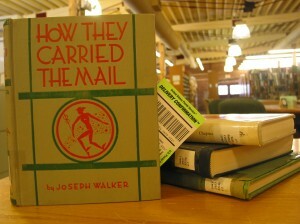 Borrowing books by mail is easy and inexpensive. We ask borrowers to use Delivery Confirmation when returning books so we can track and confirm the shipment. At its meeting during APS STAMPSHOW in August, the APRL Board of Trustees adopted a new circulation policy. The new policy doesn’t include any significant changes to the procedures for borrowing books from the APRL. The document outlines who can borrow material from the APRL and what we expect from borrowers — as well as what borrowers can expect from us. The policy is designed to provide fair and equitable access to our collections while preserving library material. You can read the policy, as well as view fees for library services, on the APRL website.